Bicycle illustration with basic parts noted can be found in this link: Names of bicycle parts. Clicking an image shows it enlarged. Back browser button to return. Anti seize: see mounting paste. 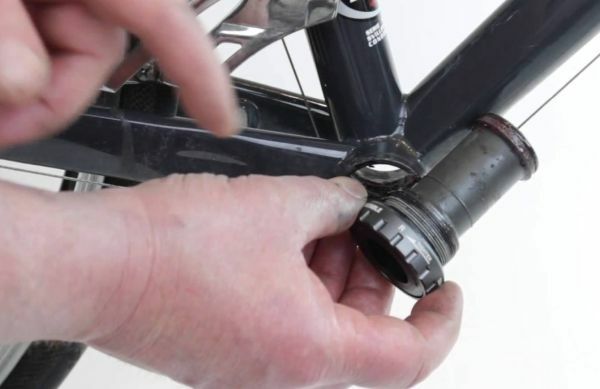 Bottom bracket: part of the bicycle where cranks are installed. Bottom bracket (BB). Cartridge BB being installed into the BB shell on the bicycle frame. BSD: tyre bead seat diameter (wheel diameter). Chainline: distance between the middle of the chainring (or sprocket) set, and the longitudal axis of the bicycle (bikes centerline). Usually measured in mm. Detailed explanation is here: Bicycle chainline. 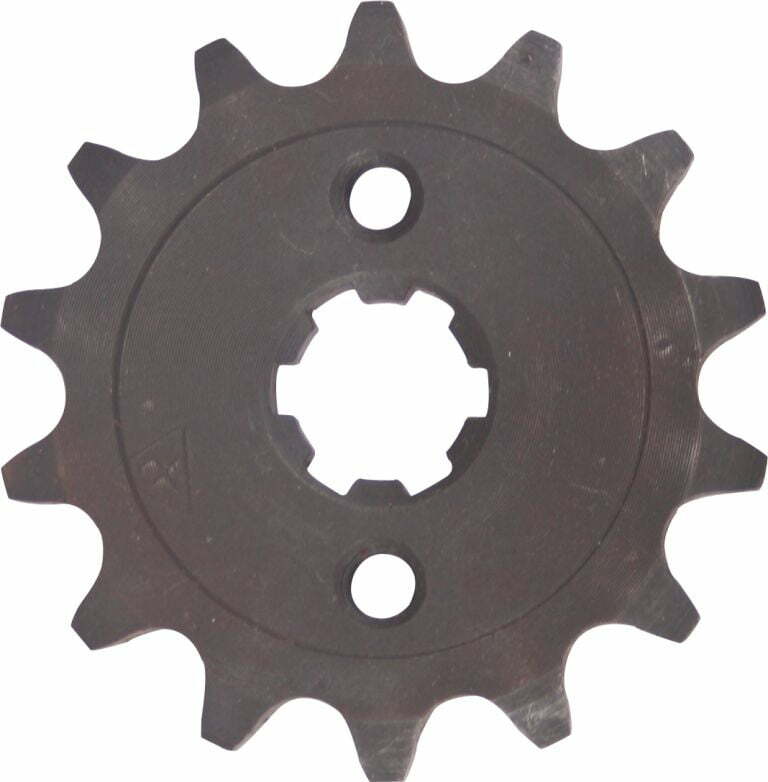 Chainring: a ring with teeth for engaging the chain. 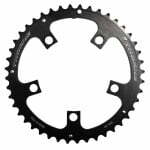 When the term “chainring” is used in cycling, it usually refers to the front chainring. 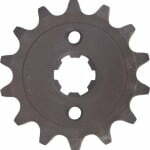 The rear one is usually referred to as “sprocket”, or “cog”. Cranks: set of crank arms with chainring(s). Crankset: a common cycling jargon misnomer for cranks – it is understood that they come as a set. Crank arm: In cycling literature this term is used to refer to a “crank” – which is an arm by definition in other mechanics and engineering literature. 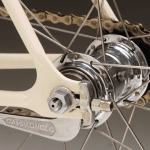 Derailleur: device used to move chain from one front chainring (or sprocket) to another. Double: crankset, with two front chainrings (double chainrings). Front derailleur: used to move chain from one front chainring to another. Groupset: a set of parts used for transmission, changing gears, braking etc (brakes, derailleurs, chainrings, shifter and brake levers etc). 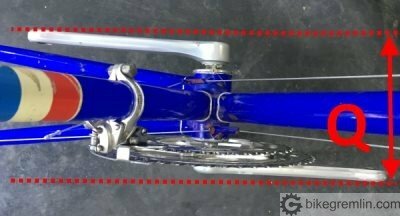 Head tube angle: Angle of the steering axis – measured compared to the horizontal (another caprice of cycling literature), with both wheels of planned size (usually the same size). In mechanics and engineering literature, this is called “rake”, while in cycling literature, “rake” is used for referring to fork offset. Hub: wheel axle with bearings and cup that has spoke mounts, holds bicycle wheel, allowing it to turn freely. Locknut: precise term is “counter nut.” It is a nut screwed against another nut, to keep them both from loosening due to vibrations and turning. Usually used to keep bearing cones in place. Mounting paste: paste used for preparation of bolt threads and component contact areas before assembly. In more detail: mounting and anti seize pastes. MTB – abbreviation for MounTain Bike – a bicycle with big tyres and strong frame for off road mountain riding. Used to be with 26″ (559 mm) wheels, now this varies. OLD: Acronym for Over Locknut Distance. 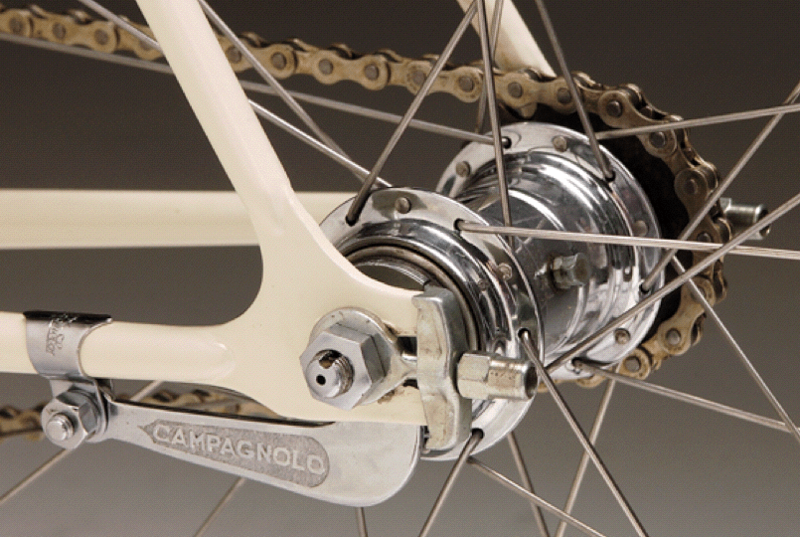 Term still used for hub width, although many modern hubs with “industrial” bearings don’t have locknuts. On cup and cone hubs (that used to be the only available in the past), the outer most nuts were used to lock the cones in position by counter-tightening them, so they were called “locknuts”. Explained in this post: Bicycle rear hub. Play: usually refers to bearings. When there is a noticeable clearance between the axle and the bearing, so that the axle hitting one bearing wall and the other, rocking, can be felt by hand. Q-factor: sum of horizontal distances of pedal attachment points of both cranks, from the bicycle’s mid-line. 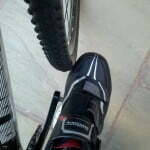 Both distances are ideally identical, while their sum is the Q-factor – how wide are the legs when one stands on the pedals. 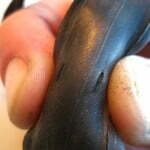 Rake: Distance for which the front wheel dropout is moved forward from the head tube axis. 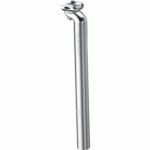 Forks are usually angled forward a bit, or have a curve to the front near the bottom. In mechanics and engineering literature this is called “fork offset”, while “rake” is used to refer to what is called “head tube angle” in cycling literature – there are many such misnomers in cycling literature and jargon. Reach: (horizontal) distance of a bicycle part from the bottom bracket. Bicycle frame reach explanation. Rear derailleur: used to move chain from one front sprocket to another. 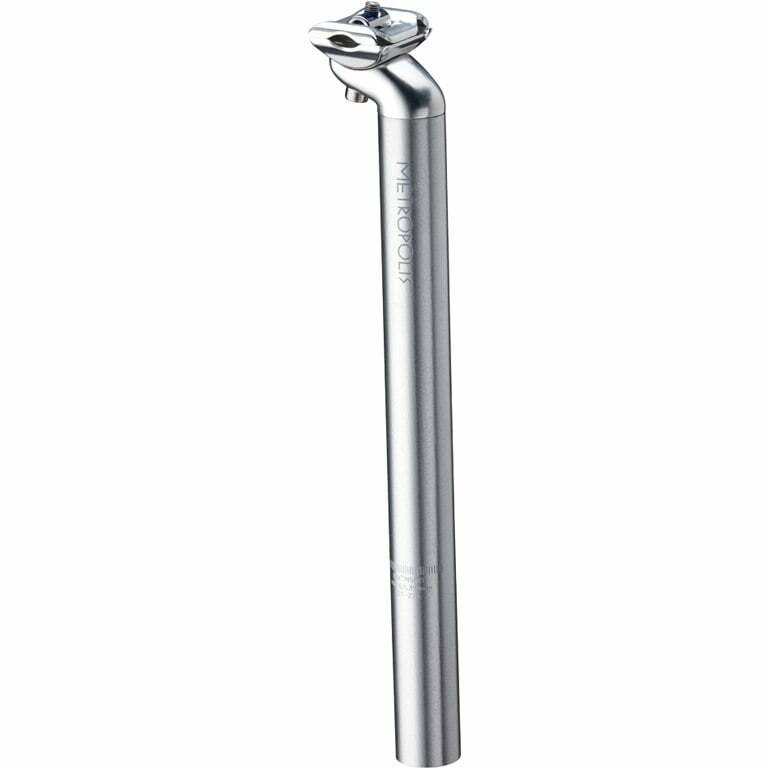 Seatpost: a post (tube) that the saddle is attached to, and which is then inserted into the seat tube. Seatpost, with a seat mounting clamp on top. 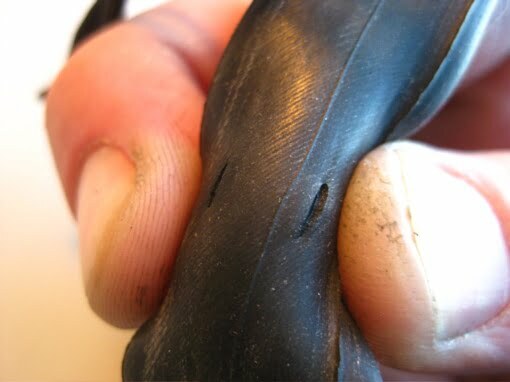 Snakebite: when hitting a kerb, or a rock, if tyre compresses all the way (due to hard impact, and/or low pressure) and pinches the tube against the walls of the rim, creating two small holes, like marks of snake’s teeth. It is also called “pinch flat”. Sprocket: ring with teeth, for engaging bicycle chain. 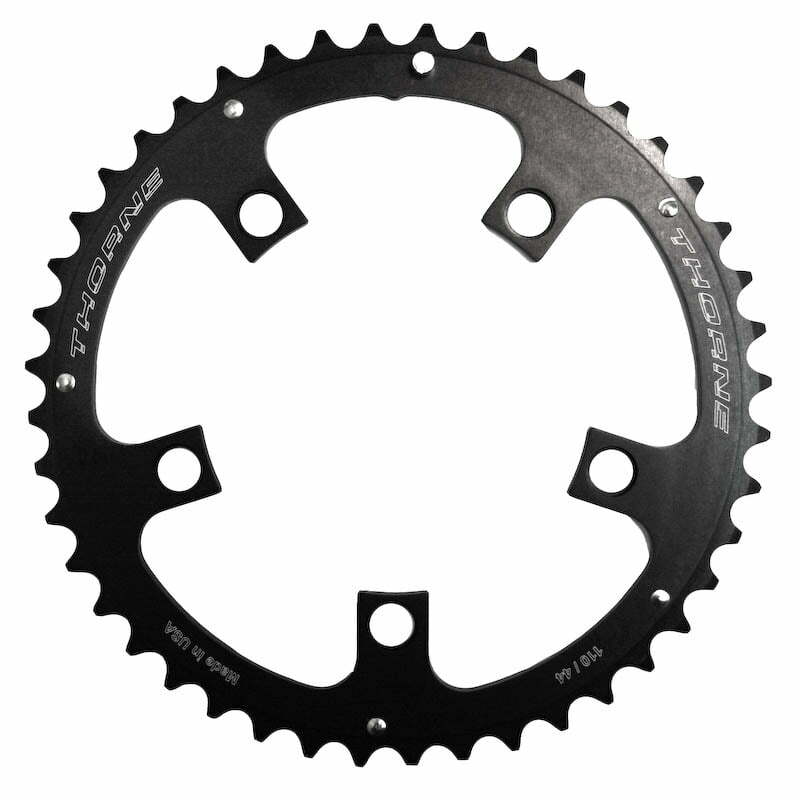 When a term “sprocket” is used in cycling, it is usually meant the rear one, while the front one is referred to as “chainring”. Of course, a correct technical (engineering) term would be: “rear chainring”. Such misnomers are common in cycling jargon and literature. Stack: height of a bicycle part relative to the bottom bracket. Bicycle frame stack explanation. 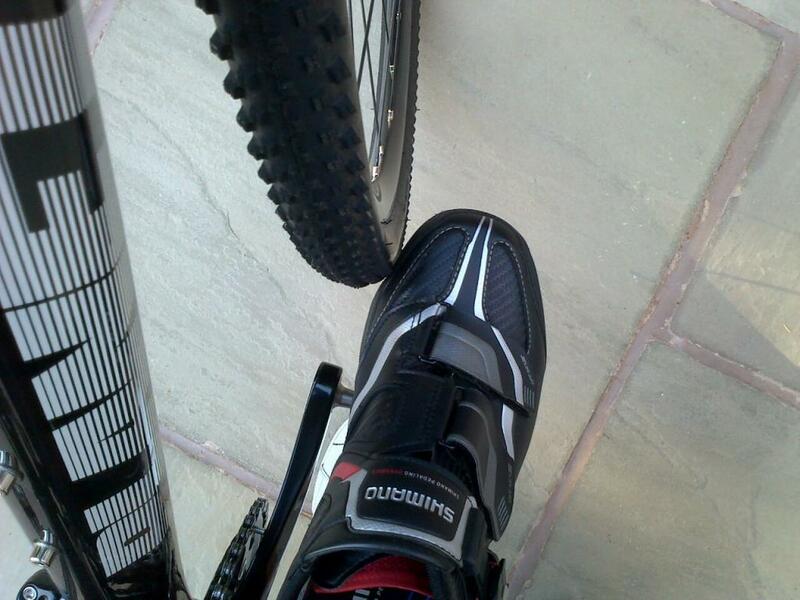 Toe overlap: hitting the front wheel with toes when turning. Triple: crankset, with three front chainrings (triple chainrings).